Amador Council of Tourism’s Board Meeting is Thursday, February 14, 9 am, Jackson Rancheria Casino Resort Conference Room. A light breakfast is generously provided by Jackson Rancheria Casino Resort. Out of respect for everyone’s time, we start promptly at 9. All are welcome to attend. Below you will find the February Agenda. Our next gathering will be Visitor’s View, Thursday, March 28, 5:00 pm to 8:00 pm, Kennedy Gold Mine. This evening experience displays the ways that Amador Council of Tourism draws visitors to Amador County and provides an opportunity to connect with hospitality businesses. Please join us. Visitamador.com is launched, with more bells and whistles to be added. 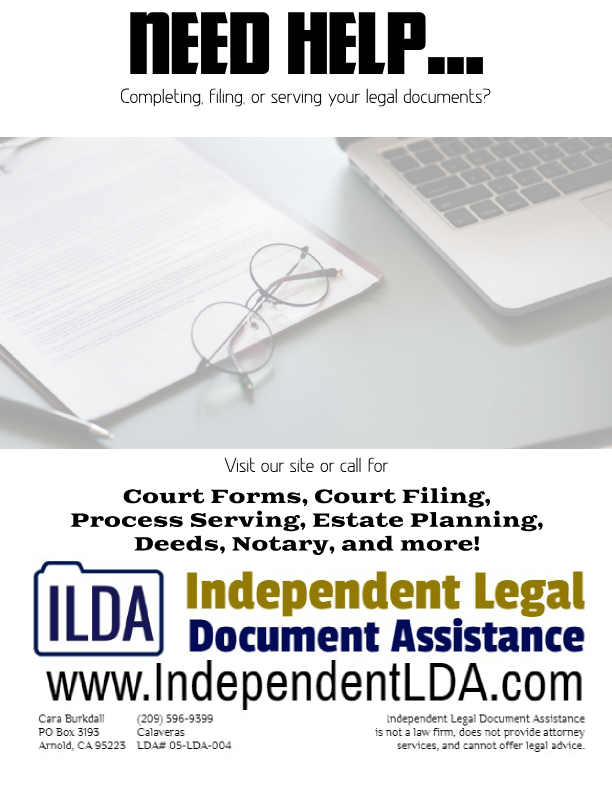 Please review your business listing and event calendar and send us updates. We count on you to be our editors. 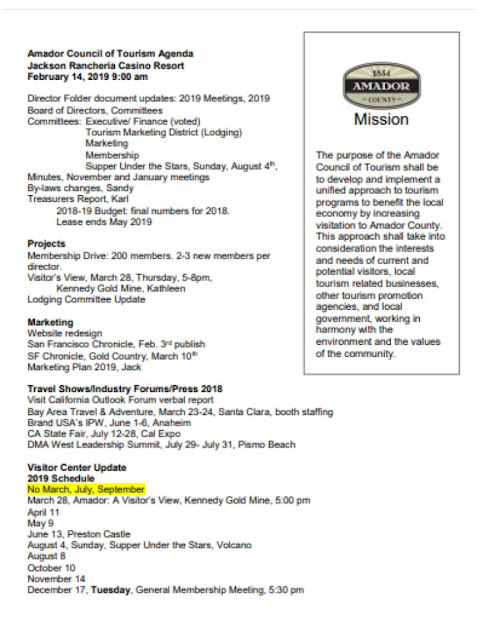 We have a new email: hello@visitamador.com. Please update your address books accordingly. 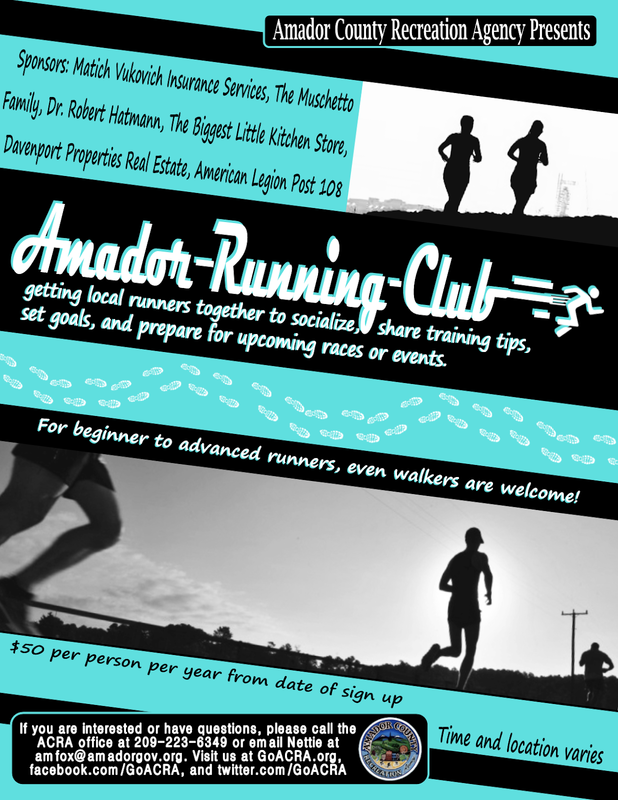 San Francisco Chronicle published an Amador insert in the February 3, Sunday edition. Sfgate went live with the articles on Friday the 1st. Extra copies are at the Amador Council of Tourism office and I will have them at the Board Meeting next week. The next opportunity is March 10 and will encompass 4 counties in Gold Country. Please contact Claire Sumalinog, T: 415.777.7314, C: 917.631.1063, CSumalinog@sfchronicle.com, for details. Please do email me, maureenfunk@volcano.net, or call me at 209-969-5065, if you have any questions.